This shaped tank top is flattering on all figure types. 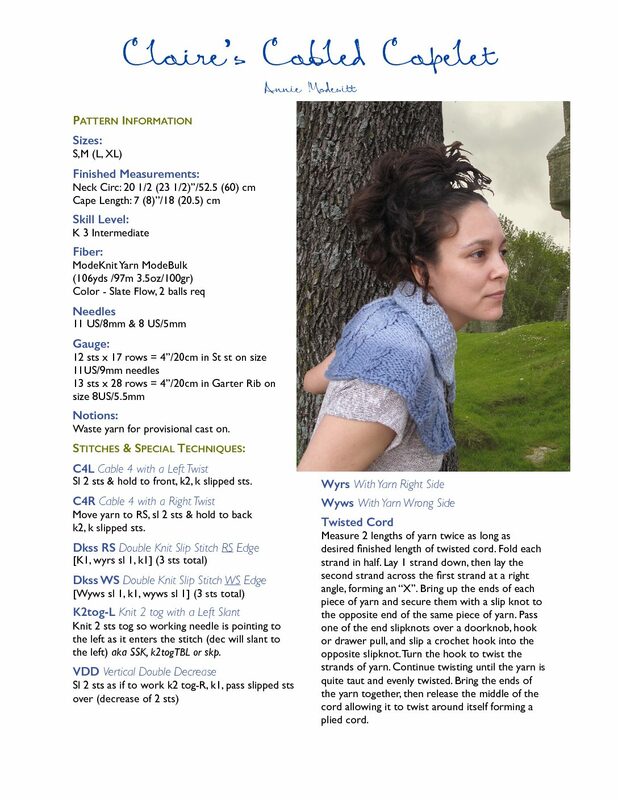 A wonderful chance to try out some new techniques and make a beautiful garment for yourself (or a friend.) Worked from the shoulders down to the hips, this pattern is written to be worked back and forth, but feel free to adapt it to work in the round! To fit Bust size: 29 (32-1/2,35-3/4, 39,42-1/2, 46, 49-1/4, 52-1/2)”/74.5 (83, 92, 100, 109, 118, 126.5, 134.5) cm. Gauge: 22 sts x 24 rows = 4”/10cm in slightly stretched ribbing on size 6/4mm please block swatch before measuring! Fiber: ModeLuxe DK, 50/50 Silk/Superwash Merino; Color A — 2 (2, 2, 2, 3, 3, 3, 4) balls, Color B (optional) — 1 (1, 1, 1, 1, 1, 1, 1) balls. 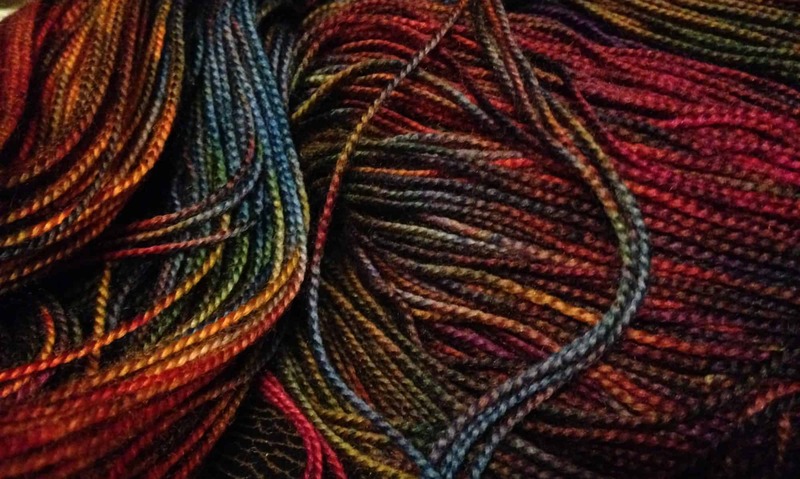 Extra yarn for Optional Sleeve — Approx 50 – 150 yds,depending on size and length desired. Sl 1 sts & hold to front, k1, k slipped sts. Sl 1 st & hold to front, p1, k slipped sts. Move yarn to RS, sl 1 sts & hold to back, k1, k slipped sts. Move yarn to RS, sl 1 sts & hold to back, k1, p slipped sts. Knit 2 sts together so they slant to the left when viewed from RS of work by inserting needle into the first st on the LH needle, then into the second st on LH needle. Knit these together. If necessary, re-orient the sts so they are facing to the right, so the needle slips easily into the sts. Knit 2 sts together so they slant to the right when viewed from RS of work by inserting needle into the second st on the LH needle, then into the first st on LH needle. Knit these together. If necessary, re-orient the sts so they are facing to the left, so the needle slips easily into the sts. Insert hook in stitch. Yarn over hook. Pull yarn through 2 loops on hook (one single crochet made). Without inserting Right needle into stitch, wrap yarn around needle in same direction as when forming a knit stitch, work next stitch as directed. With any method, CO 2 sts at beg of row. [K2, K2togL. Slip 3 sts from RH needle back onto LH needle. Pull yarn taut across back of work.] Repeat across work until 3 sts rem, K3tog-L.